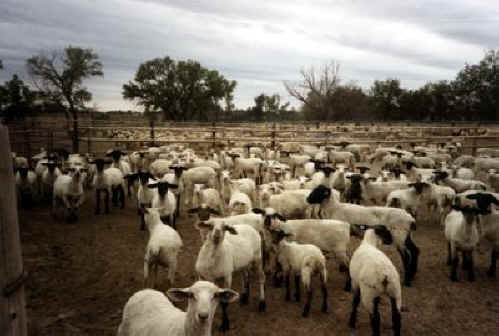 (Sheep and Lambs - Feedlot-01) This is a feedlot for sheep. The sheep are not able to graze naturally as God intended, because there are too many crowded together and they trample down the little grass that remains, leaving muddy conditions or dusty ones in dry weather. 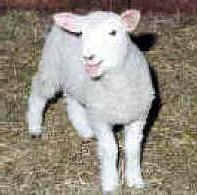 Unnatural food is brought to the sheep to fatten them for slaughter. Note the way the sheep look at the photographer, as if asking for help.